Woman in the making. Companion. Assassin. Holly is all of them, and more. Los Angeles, 2031: Robotics engineers create Holly, a female android nearly indistinguishable from humans. Sent out into the world on a field trial as a housekeeper, but programmed with secret and deadly skills even she is unaware of, Holly shocks her creators by becoming self-aware, and begins to manifest the deepest human emotions. Seeking only love and companionship, Holly is unconcerned with the firestorm of ethical dilemmas her independent consciousness creates. But as a deadly plague collapses the world around her, the talents of an assassin, buried deep in encrypted files, begin to surface. Will she use them to save or to destroy? With a price on her head as she searches for the deadly foe responsible for the plague, Holly begins to realize that "something terrible is awakening within me". 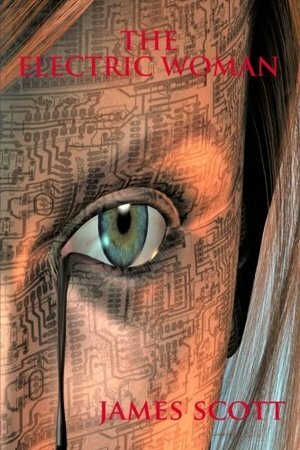 The Electric Woman confronts issues that may soon face us as we create machines ever more like ourselves. Sooner rather than later, we may find we share our world with machines indistinguishable from human. If that day comes, troublesome ethical issues may arise: Who will own them? What rights might they have? What will happen to them when they have outlived their usefulness? The Electric Woman explores these issues, set against a poignant love story, as Holly, unlike any machine before her, experiences love, tragedy, loneliness, and the pain of loss.